iphone - Oh So Girly! If you’re a fan of fairies and of Disney’s beautiful Tinkerbell from Peter Pan, maybe you’ll like to accessorize your iphone with a Tinkerbell iphone case. There is a wide range of Tinkerbell iphone cases out there in different colors and styles, from soft and girly, to elegant and sophisticated, and to funky and bold. Below you’ll find a collection of some of the prettiest Tinkerbell iphone covers out there. The collection is gathered from the official Disney shop on Zazzle as well as from Amazon.com. To view any of these iphones in more detail, click on the picture that you like, and it will take you to either the Zazzle page or the Amazon page of the corresponding iphone case. In the past year, tribal designs (sometimes called after particular tribal peoples such as “aztec patterns”) have gained in popularity, making themselves seen in many clothing stores and finding their way onto various products on high streets around the world. These attractive geometric patterns can also be found decorating iphone cases and this article will present some of the most enchanting tribal iphone case designs available. 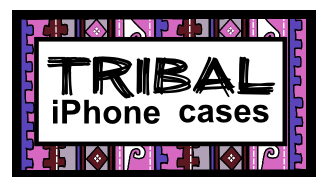 I have searched through the wonderful site Zazzle to find the tribal and aztec iphone cases shown below and most are iphone 5 cases. If you’re looking for another model case, click on the image you like and use the search bar to find that design for the model you are looking for. This includes tribal iphone case designs that predominantly use the red, orange, yellow and brown color schemes. products by clicking on it. Animal print patterns tend to excude a feeling of style, class and elegance. If you want to add a touch of such stylish glamor to your iphone, it can be done by dressing it up with an animal print iphone case. The following are iphone 5 cases though if you’re looking for another phone model case, click in on the animal print phone case you like, type in the product name in the search bar at the top of the page and you’ll usually be able to find other phone model cases with the same design. Winnie the Pooh has been loved by children and adults alike since it was first created in 1920s. There are several versions of artwork for Winnie the Pooh including the original, classic illustrations found in the children’s books, the newer Disney version that most of us are very familiar with, and there is even a Russian version which has its own unique look! If you’re looking for a Winnie the Pooh iphone case, one good place to get a Disney brand version is from the Winnie the Pooh Disney shop on Zazzle or you can sometimes find some great bargains on Winnie the Pooh iphone cases on Amazon.com and Amazon.co.uk too. Here is a selection of some of the cute Winnie the Pooh iphone cases out there. When I was a child, Minnie Mouse was one of my favorite Disney characters of all time. I remember I used to have a number of Minnie goodies decorating my wardrobe and room long before iphone cases were around! These days you can also get cute Minne Mouse iphone cases and there is a huge selection of them out there! NB The bows on these cases are printed images of ribbons and bows. Mustaches are well-loved as a whimsical, funny design. 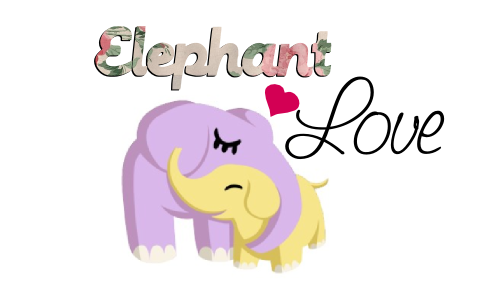 Traditionally they are inherently masculine but they can also be made to be cute and girly! The following girly mustache iphone cases show just that! NB The iphone cases below are from Zazzle and the models displayed are for the iphone 5 though if you use the search bar in Zazzle you’ll likely be able to find versions of the same designs for previous iphone models too. Glitter iphone cases are a really cute way to accessorize your iphones. They add a bit of girly glitz to your day every time you set eyes on your phone! There are several types of glitter iphone case products on the market ranging from sparkly glitter fabric cases to fake-glitter photo cases which are less messy and possibly more durable.